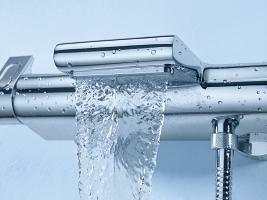 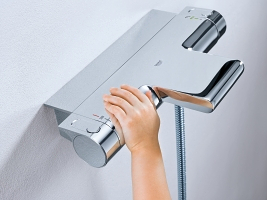 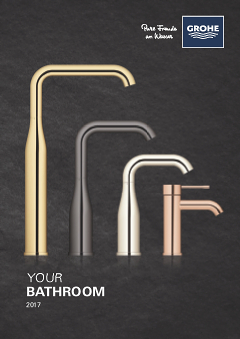 The elegant design of Grohtherm2000 ensures it will complement any bathroomdesign. 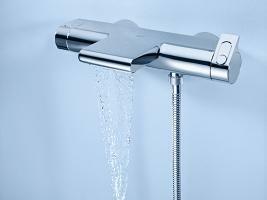 Experience the beauty of the XL Waterfallfrom our exposed bath/shower thermostat. 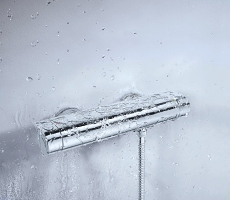 Enjoythe convenience of the GROHE EasyReach showertray, with easy-to-clean integrated storage for yourshampoo or soap. 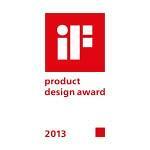 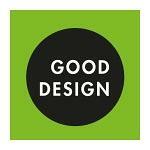 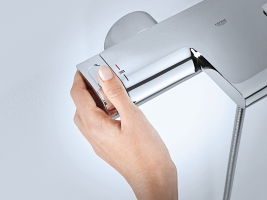 Featuring 100% GROHE CoolTouch®, the solid metalhousing of Grohtherm 2000 remains cool and safeat all times. 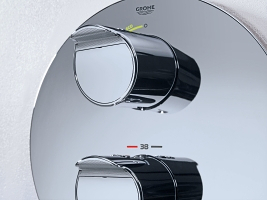 With GROHE TurboStat® you will alwaysenjoy your perfect water temperature, independent ofany fluctuations in water pressure. 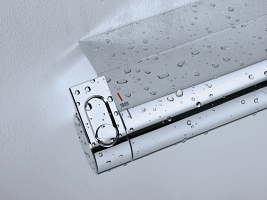 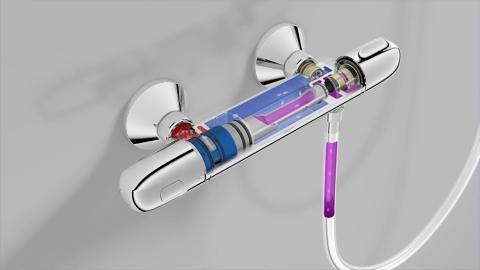 Grohtherm 2000is available as classic exposed shower thermostat, asa variant with GROHE EasyReach storage and in trimsets for concealed installation. 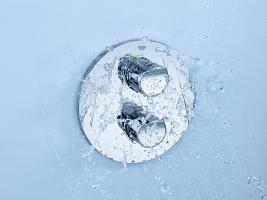 Choose top quality, improved endurance – Go for the Best!